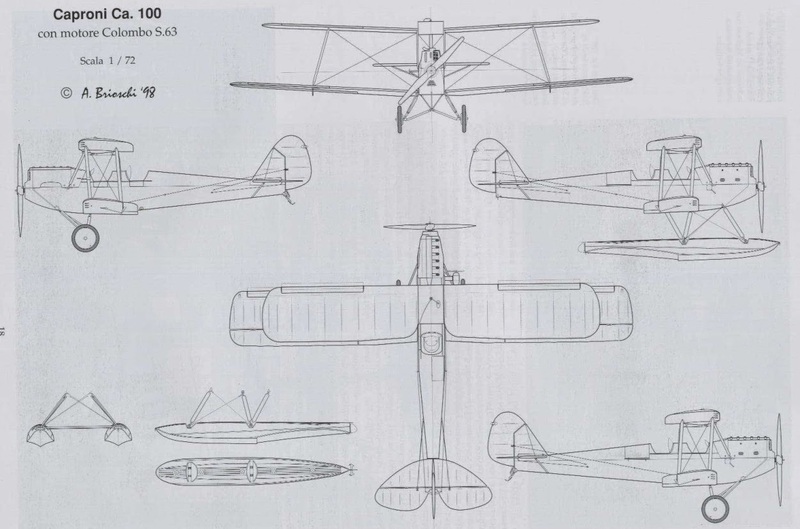 Based on the de Havilland D.H.60 Moth, but incorporating some minor differences in detail design, including an increased-span lower wing, the Caproni Ca 100 was built in some numbers for civil and military use from 1929. Powered initially by the 85-hp (63-kW) de Havilland Gipsy engine, the Ca 100 was fitted also with a variety of engines of different output, including the 90-hp (67-kW) Blackburn Cirrus Minor, the 115-hp (86-kW) Isotta-Fraschini Asso 80R, the 145-hp (108-kW) Colombo S.63 and the 85-hp (63-kW) Fiat A50. A twin-float seaplane version, 30 of which were built by Macchi, was known as the Ca 100 Idro, and in 1934 a light bombing trainer was built, powered by a 130-hp (97-kW) radial engine and able to carry four small bombs. 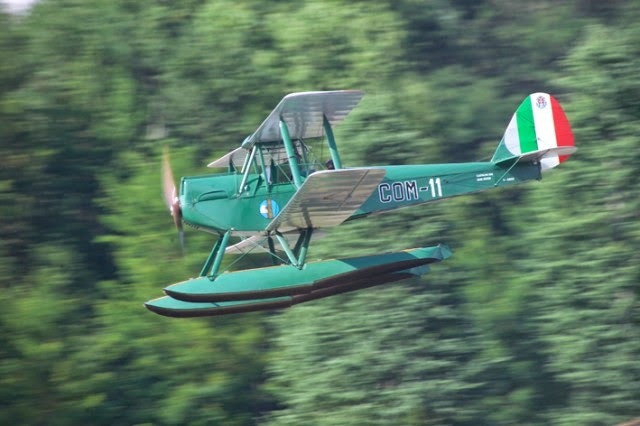 In 1931 a Ca 100 Idro flown by Antonini and Trevisan established a seaplane altitude record of 16,462 ft (5018 m). In 1935 the Peruvian government signed a contract with Caproni which gave the company a 10-year monopoly for the manufacture and repair of military aircraft in that country. Several Ca 100s were supplied from Italy, and in May 1937 a factory was opened in Peru, charged with producing 25 Ca 100s within two years but actually building only 12 in that period, at an excessive cost. The type was also manufactured by a Caproni subsidiary in Bulgaria as the KB-l.